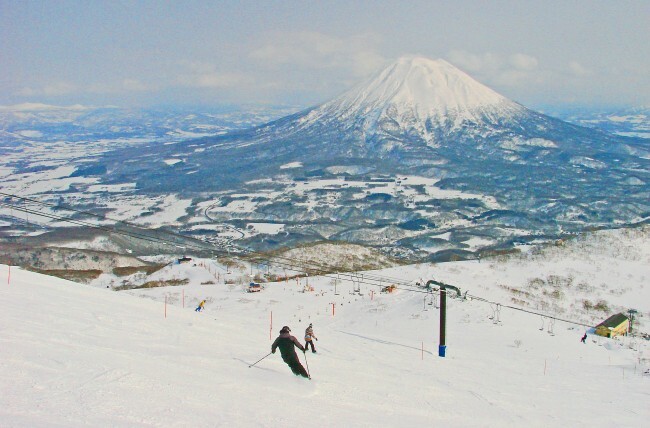 Situated roughly sixty miles southeast of Sapporo, Mount Niseko-Annupuri towers over the surrounding landscape at 4,291 feet in height. 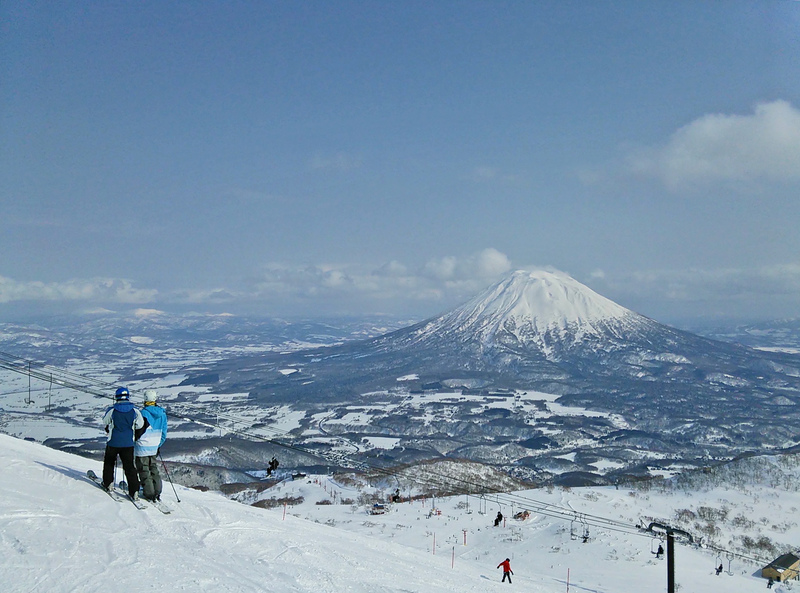 Clustered around the mountain are Niseko Annupuri International Ski Area's four world-class resorts: Niseko Annupuri International Ski Area, Niseko Village Ski Resort, Niseko Mountain Resort Grand Hirafu and Niseko Hanazono Resort. From March onward, clear skies replace heavy snows as the climatic norm, while Niseko's high altitude allows skiers and snowboarders to enjoy quality runs as late as April or early May. With a combined total of four gondola and 23 chair lifts, these resorts offer a plethora of terrain sure to sate even the biggest snow junkie. On the southeast of the mountain's Annupuri area, Niseko Annupuri is known for getting some of the best snow in the region. 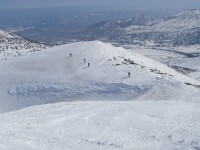 The resort caters to skiers and riders of all abilities. 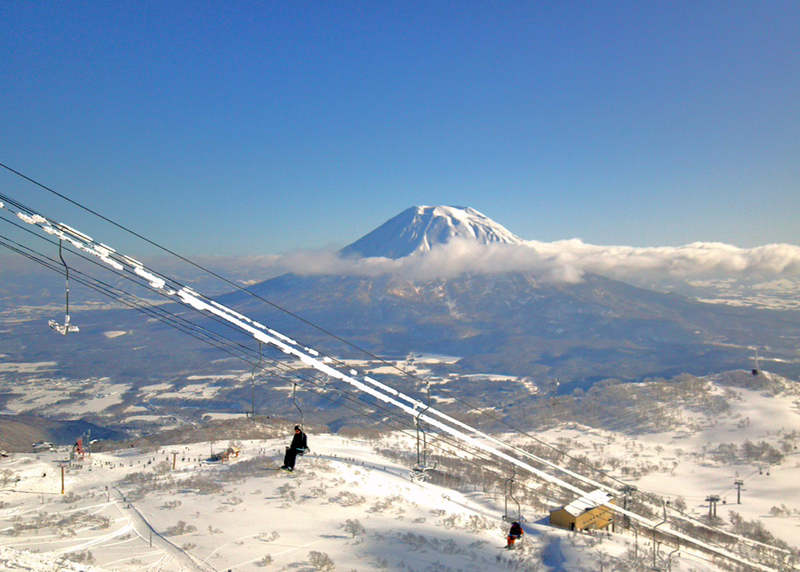 On a sunny day, guests can savor an awe-inspiring view of Mount Yotei from the Number 4 Pair Lift at the mountain's peak. The same chair can also be used to access the other resorts in the area with the purchase of an All Mountain Lift Ticket. 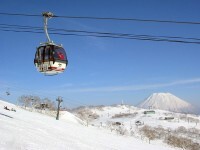 Located in the center of the Niseko area, Niseko Village Ski Resort is designed around the Hilton and Green Leaf hotels. 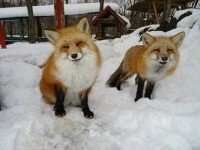 Convenience is the theme here, with guests able to enjoy ski-in ski-out service from both hotels. With green runs available from top to bottom and areas near the Community and Banzai Chairs designated as learning zones for absolute beginners, it is tailor made for families. 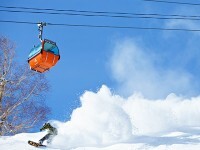 Boasting one gondola and nine chair lifts, Grand Hirafu is the largest resort in the area. Guests are often overwhelmed by the multitude of runs spider-webbing the mountain, with beautiful Mount Yotei visible from every trail. 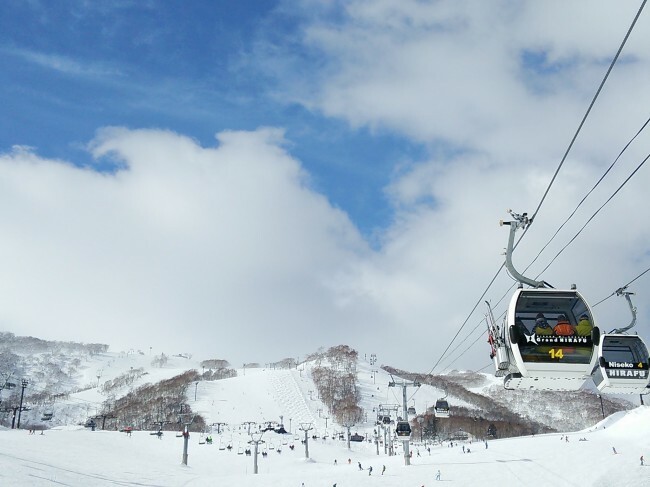 Take the Parallel course or Yotei Sunset trail across to the Niseko Hanazono Resort, with the Hirafu Pass opening access to both resorts. 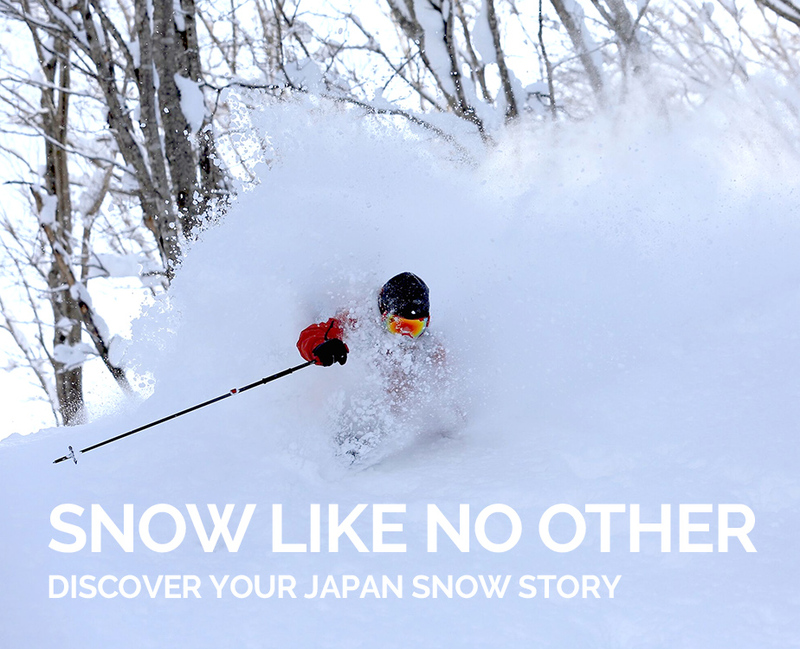 Situated on the eastern face of the mountain, Niseko Hanazono Resort offers three high-speed quad chair lifts, with close to two miles of runs, and a consistent supply of great snow into early spring. 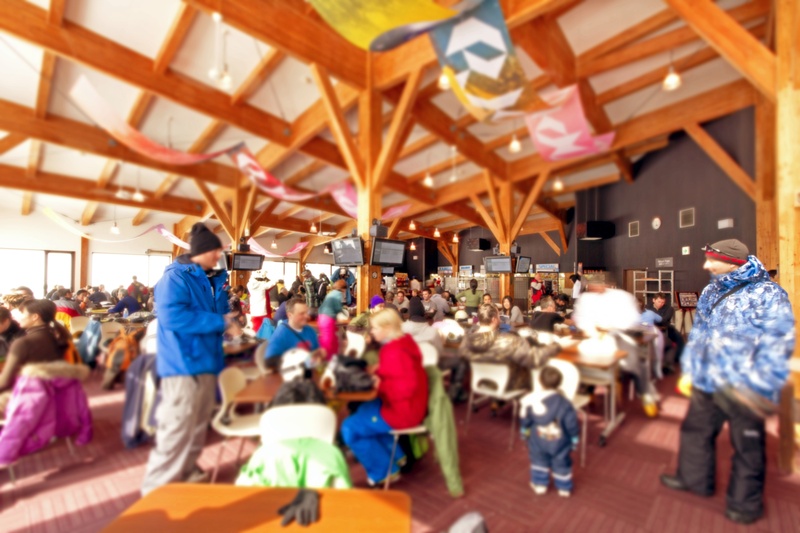 Known for attracting overseas visitors, it's not uncommon to find that 80 percent of the patrons at Restaurant 308, located at the foot of the resort, hail from outside Japan. All the cafes and restaurants here give off an international vibe, serving large portions of Western staples like hamburgers, steak and pizza. 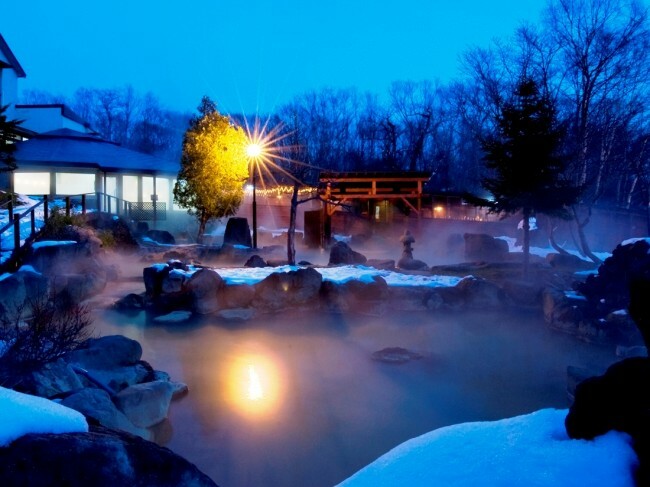 The Niseko area offers an abundance of natural hot springs, or onsen. 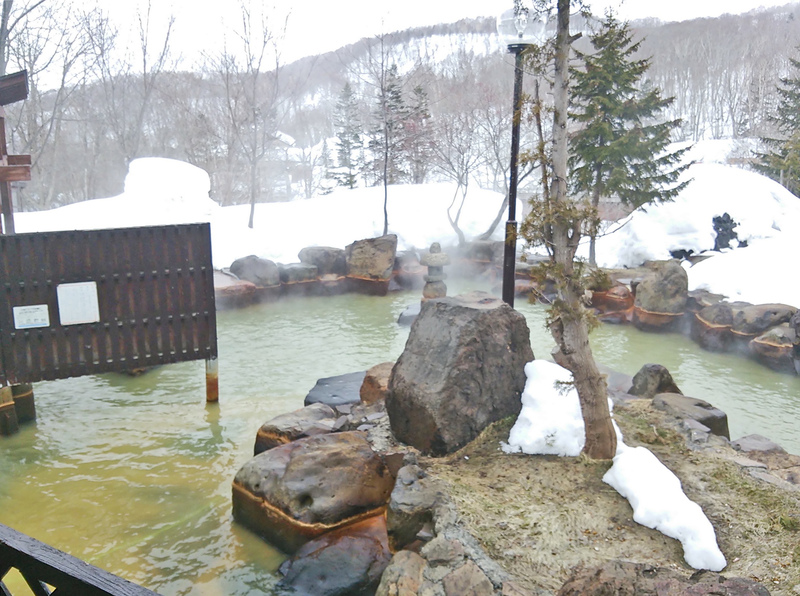 The onsen in the Niseko Grand Hotel is accessible even to non-guests, and offers a "Shittori" (Mellow) bath featuring water rich in sodium chloride, as well as a carbonated "Sube-sube" (Silky) bath rich in sodium - both pumped directly from underground springs. The main attraction, however, is the 1,000-square-foot Teien Outdoor Bath: popular among locals and overseas visitors alike, it's not only huge, but co-ed! Bashful women can buy special "hot spring bathing suits" for 100 yen, or skip the co-ed bath altogether and soak in the women-only outdoor bath. Shy men must rely on towel placement alone.